With 11 languages been spoken across the country, it’s no surprise that South African English has its own flavour. 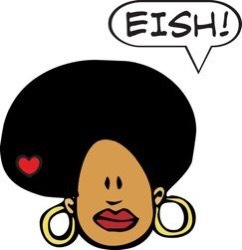 Not only they have a pleasing accent, but South Africans also have their own repertoire of expressions and slangs. Most of the words derive from Afrikaans (which is similar to Dutch) but some also derive from various African languages. Here’s a glossary of the most common ones and a few of my favourites. Eish! : Exclamation used to express surprise or frustration. Howzit: Greeting, short for Hi! How is it? Just now: In awhile, later. If a South African tells you ‘just now’ it usually means in a few hours, but definitely not anytime soon. Now now: In a few minutes, but not immediately. South Africans are known for their misuse of the word now! 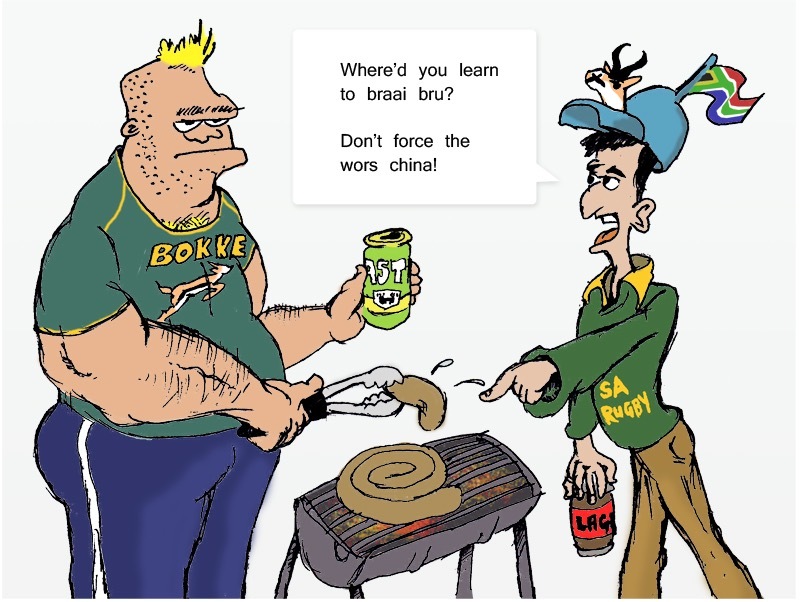 Lekker: Versatile word to say nice, fun, good, delicious… This braai is lekker bru! Shame: Usually used to show pity or sympathy, but it can also be used to accentuate cuteness. Oh shame! Look at this puppy! Sharp Sharp! : Can be used as a greeting, a farewell, an agreement or just to show enthusiasm. Braai: A barbecue, the most social activity in South Africa where people gather to drink and eat (loads) of meat (often grilled on charcoal). Bru/Boet: Affectionate term used between guys. Short for brother. Rock up: To arrive somewhere unannounced or uninvited. Taxi: A taxi in South Africa is not a cab, but a minibus used for public transportation.